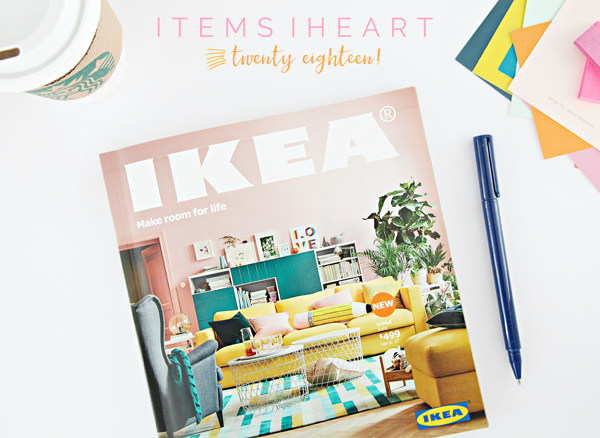 18 The 2018 IKEA Catalog: Items iHeart! I have been stalking my mailbox daily starting the first week in August with great anticipation of the colorful and idea filled pages. The annual IKEA catalog is a reliable page turner, filled to the brim with eye candy and small space storage solutions galore. The moment the catalog touched my hands, I pulled out the page flags and post-it notes and flipped through all 326 pages. I marked everything that caught my eye and then went through all of the pages a second time. And then also checked out all of the new for 2018 inventory online as well. I receive a lot of home related catalogs throughout the year, many of which provide me with ideas and color inspiration, but none seem to be as exciting as this one? Come to think of it, I never know when any other catalog will just pop into my mail pile, so is it the once per year release that just builds and builds the anticipation? What about it generates so much internal excitement?! The prices? The storage ideas? The lived in styling? Whatever it is, I do these posts annually (you can check out last year's post here). And I am always questioned if they are sponsored but unfortunately for me, they are not. 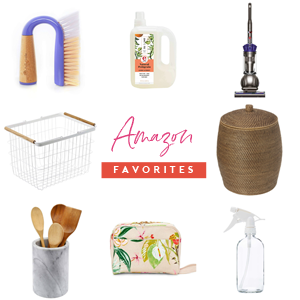 This is just me picking out my favorite new IKEA products and sharing a little bit about why each one made my list. 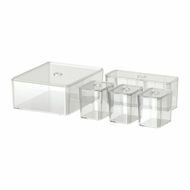 EKET CUBES // These would be really great nightstands in a boy's bedroom. Great storage/display space and I especially love the wooden leg detailing. 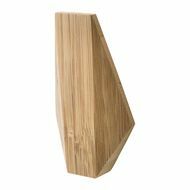 STOCKHOLM TRAY // Trays are great for organizing collections around the home and this walnut option comes in such a wonderful finish. I can picture it on the counter with cooking condiments or on a coffee table with remotes and greenery. 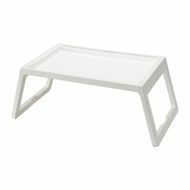 KLIPSK BED TRAY // I believe this is actually an old product, and I am wondering how I missed it. This tray could be so convenient in so many ways. From working from the sofa or in the car to eating breakfast in bed, it definitely could serve a variety of purposes... And it is especially fantastic that it includes a groove to hold techy gadgets. 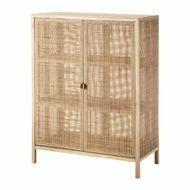 STOCKHOLM CABINET // Woven storage that is sophisticated, modern and brings so much warmth into a space. GODMORGON BOXES // Product repeat number one, these acrylic storage boxes work on shelves and in drawers and are ideal for toiletries and small household items. Simple, stylish and versatile always wins! 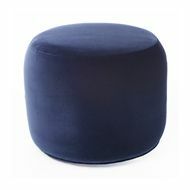 STOCKHOLM OTTOMAN // I have had the opportunity to see this item in stores, and I was shocked at how heavy and substantial it is. It is decorative and soft and a really great option for kids and resting tired feet. 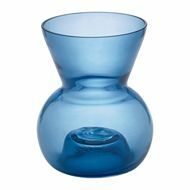 STOCKHOLM VASE // Blue, beautiful and about as brilliant as can be. And what is that you say? 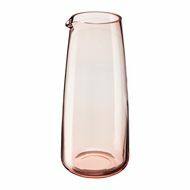 It can also be flipped and act as a tealight holder? I'll take two! 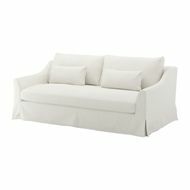 FÄRLÖV SOFA // Can we talk about the single seat cushion for a minute? I am not sure I can pull together the words to describe how much admiration I have for this sofa. How nice to only have one seat cushion for lounging and snuggling! Plus, it is slip-covered, streamlined (those arms!) and a really great price. 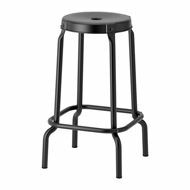 RÅSKOG STOOL // These stools could work in just about any kitchen that is in need of a extra counter seating. 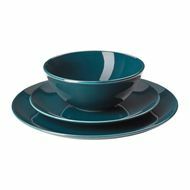 They have great lines and the black color is perfect for adding just the right amount of drama that every kitchen desires. 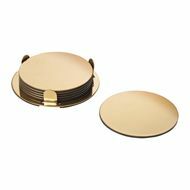 GLATTIS COASTERS // A beautiful brass finish that would look chic on a counter, coffee table or desk! Yes, please! 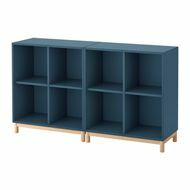 BILLY BOOKCASE // This is product number two on the duplication list. I just love it that much! 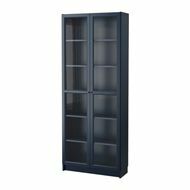 Navy is pretty much my favorite color on the planet, so to see such a stunning navy cabinet with glass doors? I can't help but picture these being built-in wall-to-wall somewhere with some dazzling hardware. Someone get on that and then send me the pictures, OK? KUBBIS HOOKS // I absolutely adore the simplicity in this rail of hooks. It could easily be painted to match any room or decor, or left white because that works everywhere too! Garage for cleaning tools and yard supplies? Check. Bathroom for towels? Check. Entryway for jackets and backpacks? Check and check! FLÅDIS BASKET // DING DING DING! Purchased two of these storage baskets last year and could go back for even more. They are light weight, fit on shelves or on the floor and can be decorated in endless darling ways. They really have become my favorite storage baskets for so many household items and purposes. 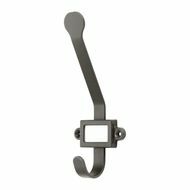 KARTOTEK HOOK // I am really into hooks that have attached labels! 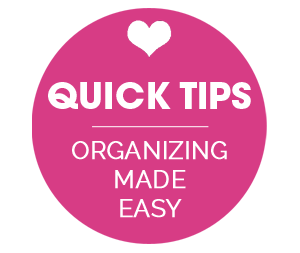 If you think about it, one single item allows you to conquer two organizing tasks at once! 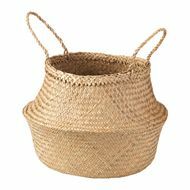 PUDDA BASKET // I "felt" this was a good pick because it has special brass details! 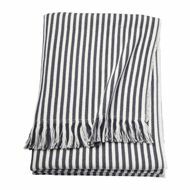 TUVALIE THROW // Ikea's throw blanket game is generally pretty strong, and this striped and fringed version does not disappoint! 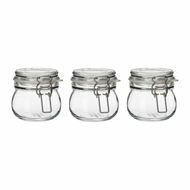 KORKEN JARS // Jars like this work great in bathrooms, craft rooms, and offices. But I sort of want to pick up a set and make some jelly and jam and yogurt parfaits for our weekly Sunday brunch. TILLAGD FLATWARE // All I can say about this is, FINALLY! 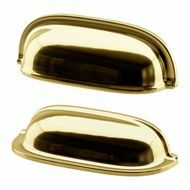 I don't think brass is going anywhere anytime soon, so it is great to see IKEA recognize this in the kitchen. SKUGGIS HOOK // These don't look like traditional hooks which is 100% why they caught my eye. And I am guessing the wood finish would bring a wonderful natural element to any room. 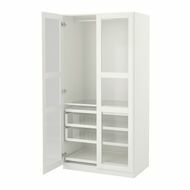 FABRIKÖR CABINET // I picture this cute little cabinet in a bathroom stocked with towels and daily grooming essentials. It would definitely be a great way to elevate the items that generally just clutter up a small space. 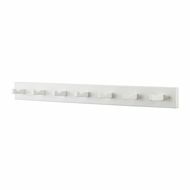 ENERYDA CABINET PULL // Very PotteryBarn-esque, these beauties also come in a great polished nickel or black finish. 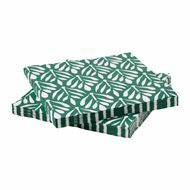 TILLSTÄLLNING NAPKIN // Did I really add $2 paper napkins to my list? Why yes I did! Think playdates, picnics, and parties; you can't beat the price and they have a way of taking the table up a notch with absolutely zero effort required. 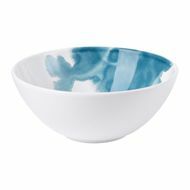 BEHAGA BOWL // Now picture this bowl with the dinnerware I mentioned above. The combo would make for a talked-about tabletop. I absolutely love the organic patterns and swirls in each piece! And even better, there are also coordinating plates! 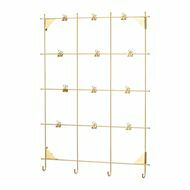 MYRHEDEN FRAME // My college-aged self would have done just about anything to sport something this cool on her walls. 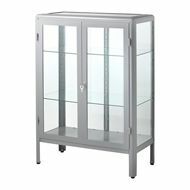 And now IKEA is here to make sure every dorm room and teenage bedroom is always on point. 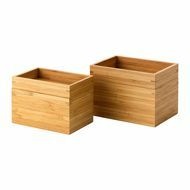 DRAGAN BOXES // Although you think you are purchasing a set of two, the lids become trays so you get double the storage! And that wood tone pulls at my heart once again. 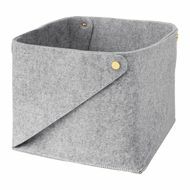 Not only are these boxes good looking, they could work hard in the living room for tech and cords, in the office for bulky supplies, in the bathroom for toiletries and counter clutter or in a bedroom as a charging station or jewelry organizer. 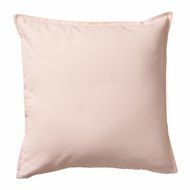 GURLI PILLOW COVER // I believe that blush pink can be considered a neutral. Try and name a single color that it doesn't pair well with... Yep, I couldn't think of one either. BAGGANÄS PULLS // I am BAGGANÄS for these pulls (see what I did there?). They have optional washers that really elevate the look and they also come in a few different finishes. 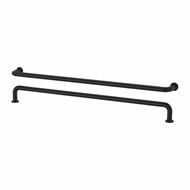 My boys love black hardware and I can already think of a couple of pieces in their spaces that these would compliment nicely. PAX WARDROBE // I know that the PAX system is far from new. In fact, we have one of the combinations in our home already. But what is newer is the fact that they now offer shorter frames which could fit the seven-foot ceiling height in our dressing room! And even better is that they also offer some really great new doors. And endless interior fittings and organizers. 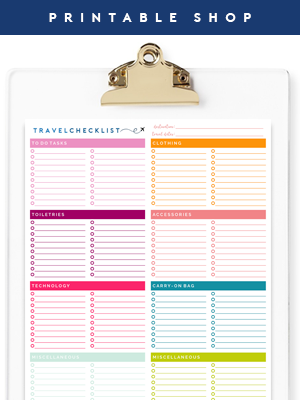 My organizing obsessed brain is in overdrive just thinking about how much this system would change our daily routines for the better. Pennies are officially being saved. Come to mama, PAX. I promise to give you a good home! 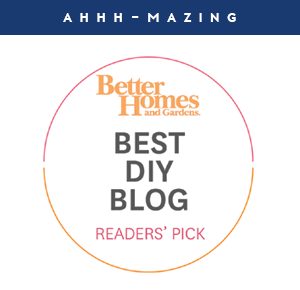 This is always such a fun post to write! But now for my very favorite part which is hearing all about your IKEA selections this year. Do you also spend a few hours of quiet happy time flipping through the pages over and over again? What did you flag, circle and star? 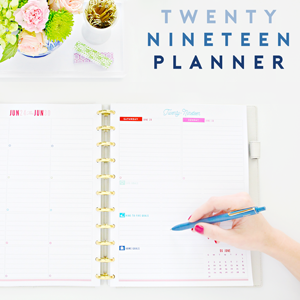 Or have you already gone right to the store to snag something new and fabulous for your home? I would love to know if there is something else I should add to my love list! Psssst! IKEA does not sponsor or pay me for these posts. It is just annual fun for me and you! Thanks for sharing your picks! There is an Ikea coming near us next summer, and I'm so excited! I'm hoping we can finally furnish our home a bit more, and I also love the kids toys. I know what you mean. The house we just bought was full of IKEA treasures. We bought some of from the sellers. We live about 45 minutes from the store and have bought a few more pieces. Their stuff just makes sense. I'll be doing a post on this soon. These aren't new in the 2018 catalogue but last visit to Ikea there were the TOBIAS chairs in blue. I literally drooled. I wish I were in the market for new chairs. 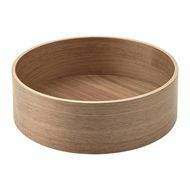 I just bought the Nödvändig timber bowl to turn into a light shade for my bathroom, it will match the decor perfectly. It's not on the website for some reason. Also going to turn the skürar white hanging planter into a light shade for my craft room (what can I say say, I like to improvise and save money). My house is slowly filling up with ikea unintentionally as it just works and is affordable while I figure out my style and purpose for each room. Your resourcefulness makes me beam with happiness. I love hearing that people are still getting creative and hacking pieces to get a great look on a budget. Thanks so much for sharing! I love Ikea! Even though we don't have it in our country, always in our wishlist their items. We can't wait to have it here! Our closest IKEA for over 20 years has been a min of a 13 hour drive away; there is one opening not 2 minutes from me this month - eeeekkk!!!!!! I can't wait to finally be able to shop this store routinely and properly! I can't wait to get my Ikea catalogue too! I always make myself a nice cup of tea or coffee and spend a long time looking at all the items. I find it so inspiring! Are there any other catalogues you find inspiring? Maybe I could order some of them too (we never have too much inspiration right? :). I really love the Stockholm woven cabinet too! I have no spot for it right now, but I am mentally shuffling furniture to make one. 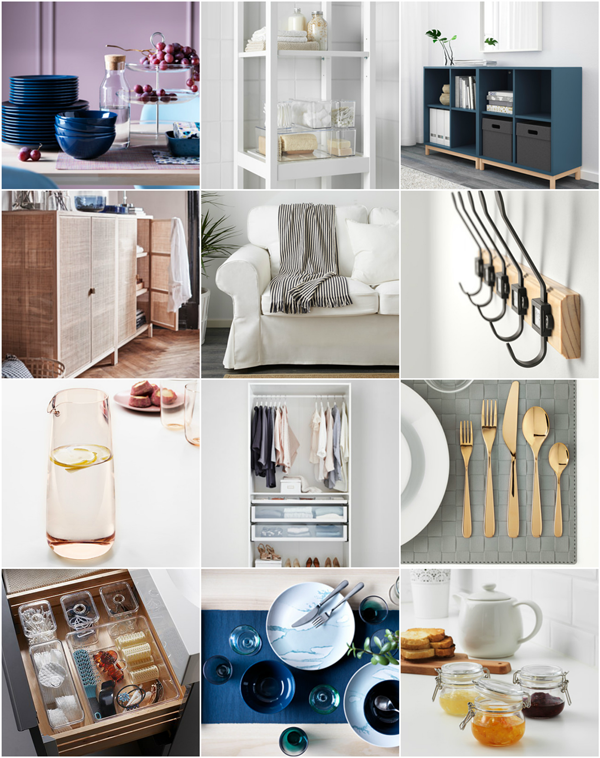 Great picks :) I love Ikea! 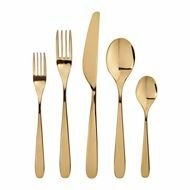 I have a set of gold-ware that I will give you if you want them. I can bring them next time I come to Pierce County! It makes me very sad that there is no IKEA here in Hawaii. I know there is one in Malaysia, so I don't understand why. Whenever I visit family in San Diego, it's a required stop, and usually means I have to borrow an extra piece of luggage to cart the stuff home. They won't even ship it here, although I've heard someone has a Craigslist business, buying it to people's orders, then shipping a bunch by container. Just wondering - did your kitchen island/vent situation ever get sorted out? Did I miss the final post on the kitchen? Thanks for all your tips! So interesting that there is no IKEA in Hawaii. I had no idea, but what a smart idea for someone to offer it on Craigslist, I am sure there is quite a demand for it! You didn't miss the final kitchen, but yes! We did get it all straightened out. I still need to photograph it all and put together a post all about it, it will be a doozy! So glad to hear it all came together! There are still things in my kitchen update 5 years ago that are not addressed - nobody else would notice, but I sure do! I don't receive their catalog, but reading your post makes me want to get it! Didn't know you get such amazing style from Ikea!